Pope Pius IX and X granted the Chaplet of the Way of the Cross to the Vincentian Order. Later The Holy Office (1912) withdrew it, since the indulgences can be gained by using the crucifix alone. This chaplet is a way of meditating on the Stations of the Cross. This is the most popular of all the chaplets. 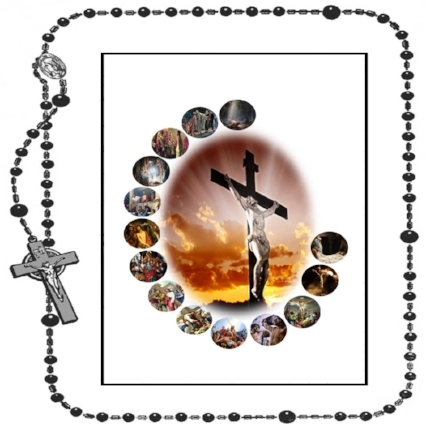 It is somewhat of a misnomer to call this a rosary. To the sick and to others who cannot go to a church to make the Way of the Cross, the Holy See has given the privilege of gaining the indulgences attached to the Way of the Cross by holding in their hand a specially indulgenced crucifix and saying the prescribed prayers, the Our Father, Hail Mary and Glory be 20 times.